Having gone through a few Thai restaurants ranging from fine dining to historical hole-in-the-walls, I decided to go somewhere sort of mid-range. Taling Pling (ตะลิงปลิง) is a local chain with a few convenient locations, and the branch in CentralWorld seemed to be a convenient location for all of us. 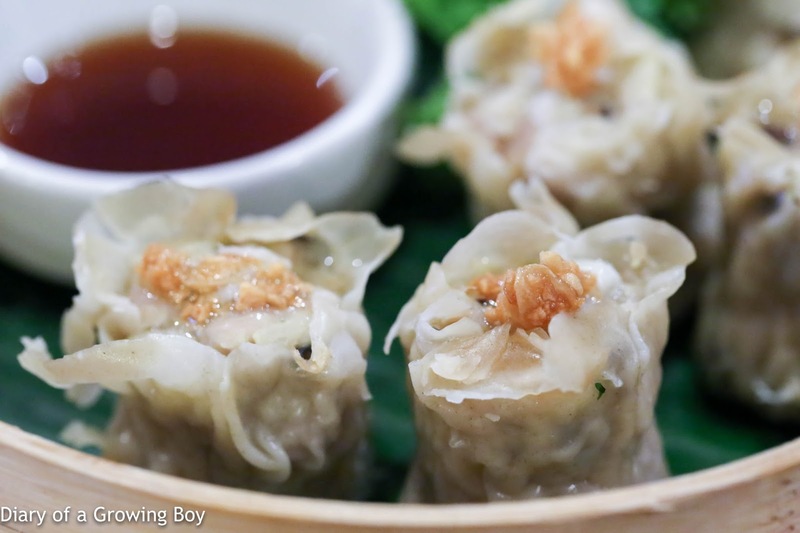 Thai styled minced pork and crab dumpling (ขนมจีบไทย) - these were surprising good, kinda like siu mai (燒賣). 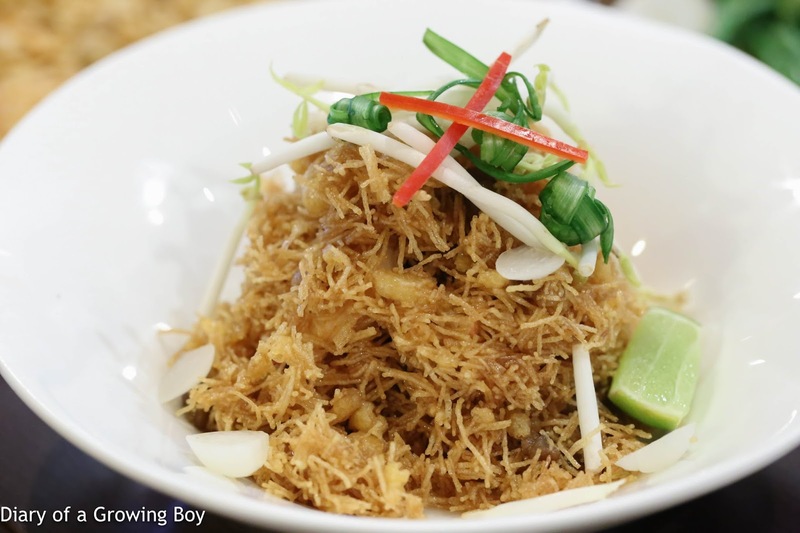 Stir fried chayote in oyster sauce (ยอคผักแมัวไฝแคง) - L liked this so much that she ordered a second portion. 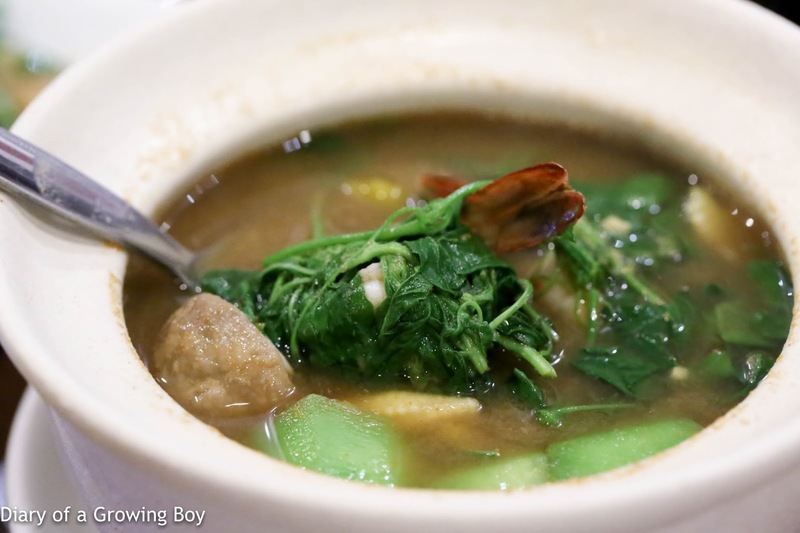 Thai peppery vegetable and prawn soup (แกงเลียงกุ้งสดพริกขี้หนูสวน) - reasonably spicy with lots of pepper, but thankfully not too sour. 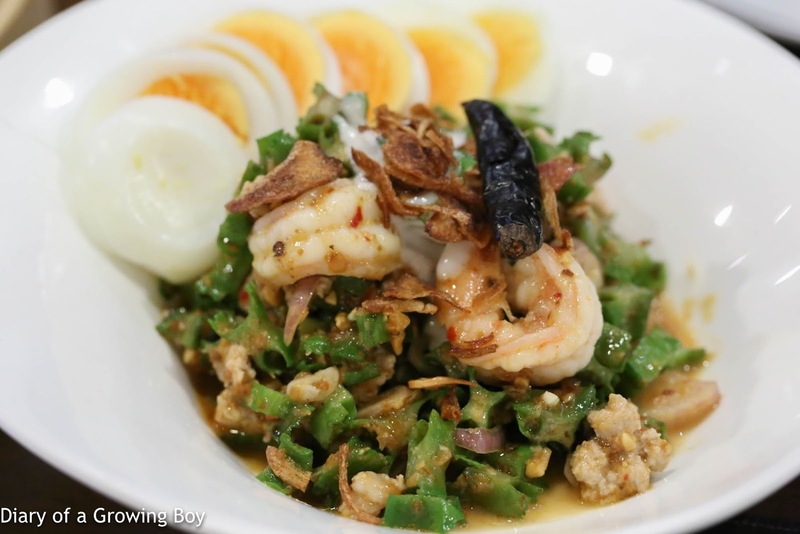 Wingbean salad with curry paste, minced pork, prawn, and coconut cream (ยำถั่วพู) - this was a little spicy, and pretty tasty. 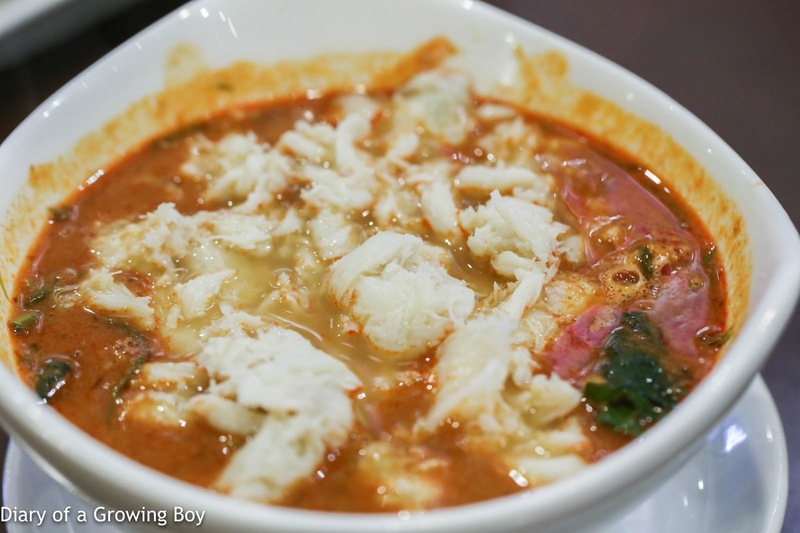 Crabmeat curry with wild betel leaves (แกงคัวเนื้อปูใบขะพลู) - nicely flavored with kaffir lime leaves. 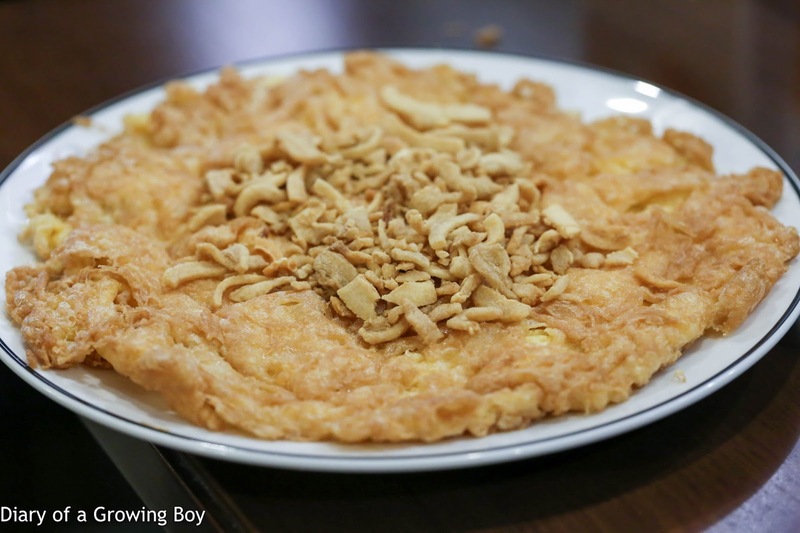 Crispy pork lardons omelette (ไข่เจียวกากหมู) - what's not to like about crispy fried omelet? Especially one with crispy, sinful bits of pork lard? Crispy fried noodle in sweet and sour tamarind sauce (หมี่กรอบทรงเครี่อง) - my fourth mee krob (หมี่กรอบ) this week, and this one wasn't bad. 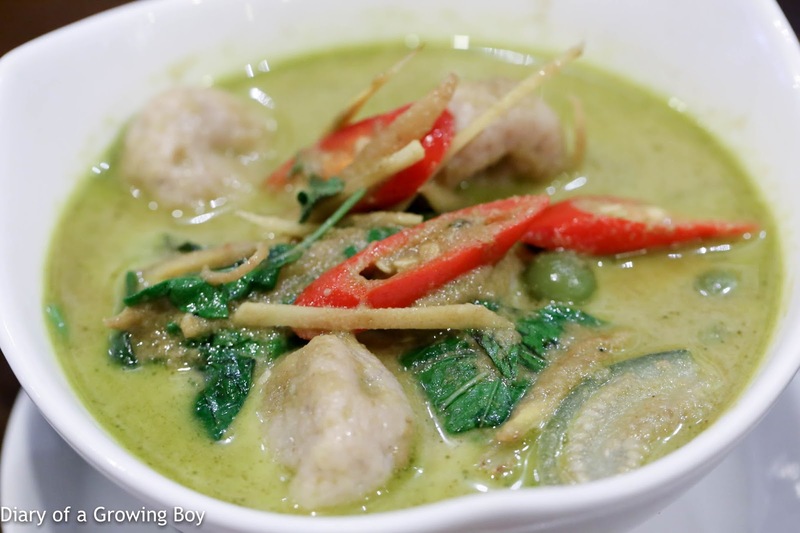 Green curry with fish ball, krachai and Thai eggplant (แกงเขียวหวานลูกชิ้นปลากราย) - the fish balls seemed handmade and had nice, bouncy textures. 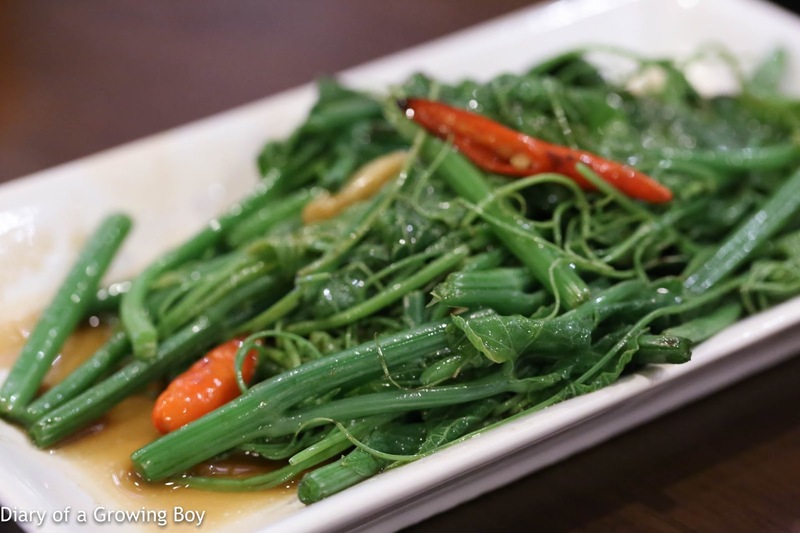 Thankfully the finger root (กระชาย) didn't taste too pungent. This was a pretty good lunch at a popular chain restaurant in a busy shopping mall. Not in line to be one of Asia's 50 Best Restaurants, to be sure, but still provided us with a delicious meal. I was happy to have caught up with my friend as we were wrapping up our trip to Bangkok.